This was (kind of) a buddy read with Janel at Keeper of Pages. I always knew going into this book that I was going to compare it to The White Road by Sarah Lotz. Both are books about spooky mountain climbs, and because I loved the former book so much, this one had a lot to live up to. Luckily it didn’t disappoint. It wasn’t quite as good as the Lotz novel, but I think this would be a great introduction to the genre of mountain-horror novels. This novel felt a little bit slow to get off the ground and I was worried that it wasn’t really going to build up to any sort of crescendo. The beginning of the book focuses heavily on building the characters, all of who are great to get to know. Our narrator Stephen is a likeable guy from the get-go, he’s a little bit clumsy and his self-deprecating humour adds a lighter tone to the novel. We also meet the team with which he’s trekking the mountain, which includes his brother Kits. Kit’s is everything that Stephen is not – he’s successful, well-loved, and confident. It was really interesting to see the sibling dynamic throughout the book. Paver makes it an interesting relationship where they have love for each other, but only due to the fact they’re related, otherwise, they readily admit they wouldn’t get along at all. Once we get further into the story, and higher up the mountain, the creepiness begins. At the start, there are just small occurrences of unease, a shadow at the edge of Stephen’s vision or the dark shape of a man further up the mountain. But as we read on, weirder things begin to happen. I loved the atmosphere Paver created in this novel, you can really lose yourself in scenario’s and feel the plummeting sense of fear and dread that plagues Stephen. I loved how the story progressed and the mystery of what was up the mountain unfolded. I thought the premise turned out to be really quite unique in a genre where there isn’t much room for newness. The ending was shocking but enjoyable, and I liked the way there were breaks in the narrative to include a letter and book manuscript. Overall, I really enjoyed this book. If you’re new to horror and are looking for something quick but exciting to read, this is definitely a good choice of book to pick up. I’m definitely going to visit this author again and have already had a lot of people recommend her other horror, Dark Matter. 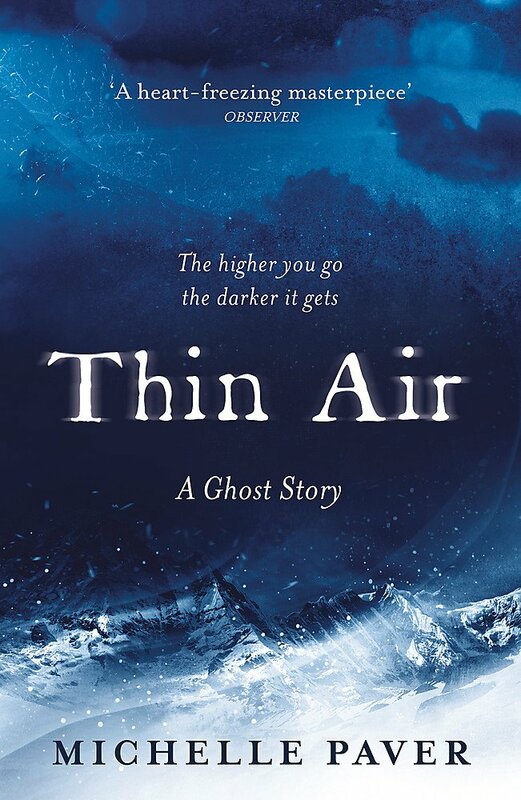 Thin Air sounds intense! I think I’ll pop it on my Halloween TBR. This sounds great! I loved White Road. Fab review! Oh yes, I definitely want to get a copy of that too! Like you said, sounds so so good!